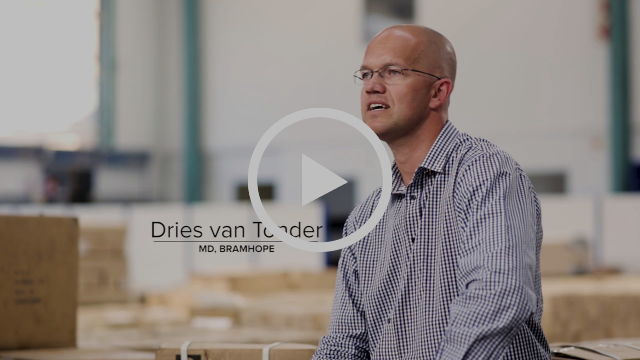 BlueBridge One implemented NetSuite for Bramhope who still remain with us today. Cloud technology, specifically ERP is now the hot topic in South Africa, and is driven by a need from SMEs to run their businesses more effectively, stimulating growth and allowing them to get on with what they’re good at. Business owners spend too much time on lesser tasks, such as inventory, balances, and shipments – instead of focusing on the most critical elements of growth. Speed, flexibility, and the ability to change are the hallmarks of the best-run companies, and the only way to achieve and leverage these hallmarks in a digital world is to implement the right business systems. NetSuite’s ERP system is all-encompassing, flexible and agile. It encompasses cloud-based financials, CRM, ecommerce, HR and business intelligence functionalities, enabling thousands of growing SMEs across the world to position themselves for success. It offers 360-degree, real-time visibility across customer and financial data, complete control over core HR processes, and reports more accurately by running functions simultaneously in one suite. A recent IDC study showed that 93% of South African companies are developing a Cloud strategy and are either in the implementation or implementation-planning phase of their Cloud journey. If you are experiencing any barriers to growth just like Bramhope were, then book a free IT health check with one of NetSuite experts today or alternatively download our free ebook on How to Build An Empire In the Cloud.